Although a disappointment for Sime & his sightseeing plans - it was an ok city, we felt safe (being country bumpkins) walking around at night & had a couple of good meals out. The hotel was one of the best budget hotels we've stayed in - really well thought out for families & Hugo got his own little alcove in our bedroom, with a proper bed! Then we were suddenly propelled into a spaghetti western - the scenery changed from lush gorges to desert & within 2 hours, the temperature rose from 4 to 18 degrees! Breathtaking scenery & a very much a Spanish influence, it's been 10 years since we visited this area & the warmth, blue skies & sunshine have certainly made us feel very welcome! Beziers - a city for exploring while we're down here! So until we get around to taking some decent photos, here is where we are for the next 3 weeks & it's very nice... Our Holiday Home. "Millau Bridge. When you've seen one bridge........ Much prefer the St. Nazaire bridge. There's much more a feeling of suspense (well, it is a suspension bridge...groan!!!). Millau cost 400 million Euros, will take 75 years to recoup it's outlay and way before then it will be abandoned and sporting a luxurious growth of eucalyptus . Viva nature. You've read the Millau blurb : British architects, highest support is higher than the Eiffel tower, 342 Equardorian Dentists lost their lives during construction and 7 trillion cubic metres of concrete were used in the visitors centre. Don't bother. It's a con. Go over the Holden Bridge in Stoke-on-Trent, it's more of a thrill and you'll save yourself 6 Euros and 10 Cents. Kay is right about today's journey. it seemed as if one minute we were in cool central France, then the next we were in the high chaparral, bells tolling in whitewashed churches and gauchos roping steers. 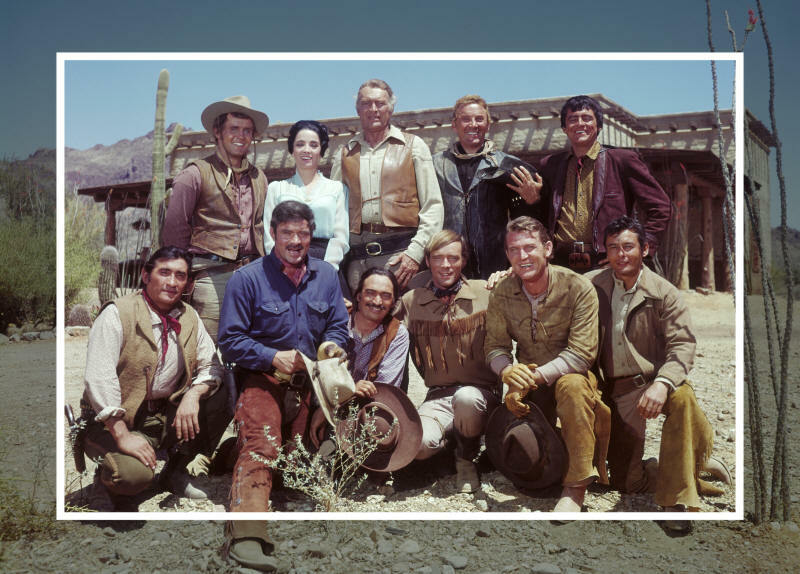 Does anyone remember the US TV show "The High Chaparral"? I don't. Well, I do actually. It's long overdue a DVD release. And "Adam Adamant Lives", but that's for another blog. This area promises so much more than disappointing southern Auvergne - a strong Spanish influence, mountain drives and warmth!!!" I've just had a look at your holiday cottage and am green with envy. Enjoy your time there. I'll have to settle for your photos!